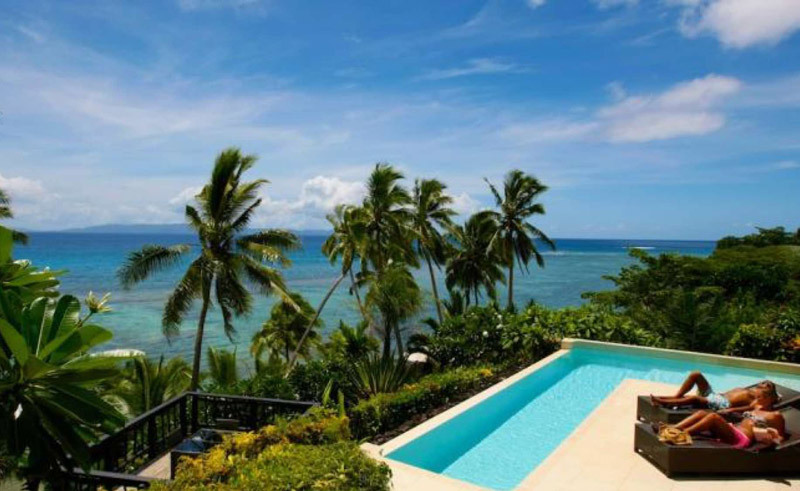 Known as Fiji’s Garden Isle, Taveuni Island will envelope you in its splendour, embrace you with its culture and excite you with its passion and Taveuni Palms Resort, as one of the world’s most exquisite island estates, is the ideal spot to enjoy this paradisiacal isle. 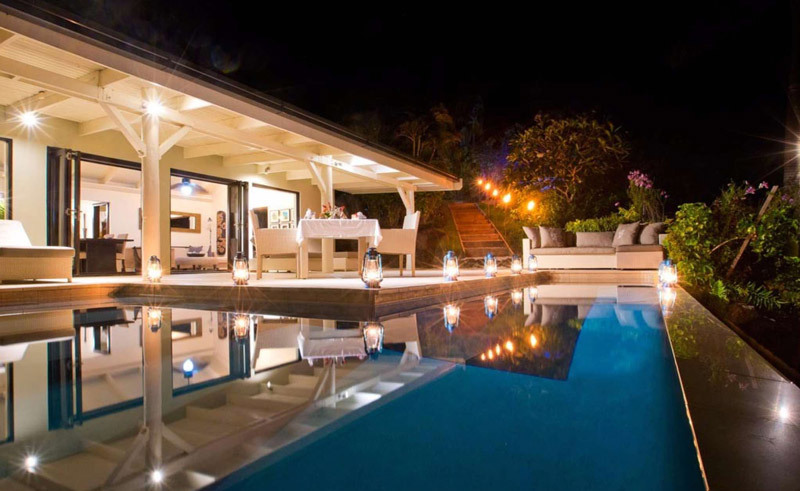 Each luxury villa at Taveuni Palms sits on its own private acre of absolute beachfront bliss and boasts not only its own private pool, but also private beach and personal staff of seven who are there to indulge you in unsurpassed service throughout your stay. 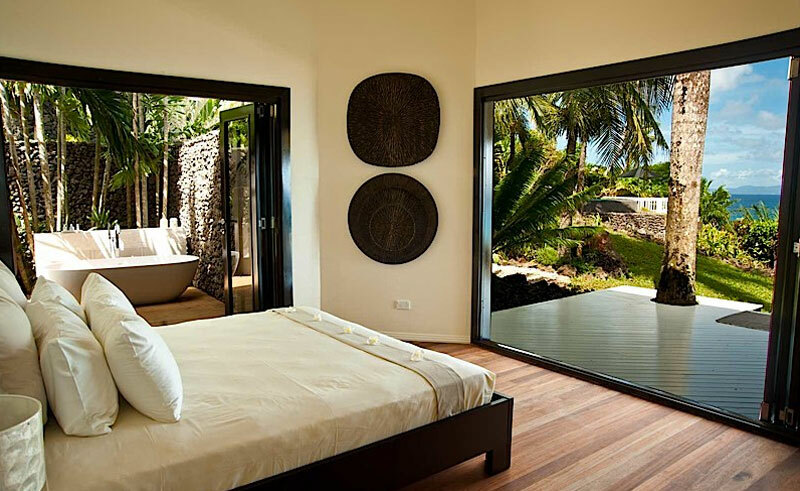 Each villa is reminiscent of your own private luxury beach house with super king beds, luxurious bathrooms, large daybeds, hammocks and of course private pool overlooking the beach. Modern conveniences abound yet are incorporated in an understated manner so as not to detract from the traditional ambiance. Your days will begin by watching the dolphins swim past your villa through the clear waters of the house reef and your days will end with spectacular sunsets all captured from your private deck and pool. There are a multitude of underwater activities on offer for the discerning guest from snorkelling straight of your private beach to diving at some of the world’s most famous dive sites. Back on land spend your days exploring a neighbouring national park by horseback or kayaking to your own private atoll, try your hand at deep sea fishing or witness a ceremonial village feast. Whatever your interests, the garden isle of Taveuni will have an activity to suit. No pacific island visit is complete without a visit to a traditional spa and the spa at Taveuni Palms is dedicated to providing the ultimate in relaxation and Fijian hospitality. Relax and rejuvenate your mind and body as you listen to the waves rippling against the sand before enjoying a revitalising cocktail post treatment. Back at your villa, your dining experience will differ every night of your stay. With five special dining locations each offering a different view and ambiance and a bespoke menu designed specifically for you every day, your culinary experience of Fiji will be hard pressed to beat. During your stay you will be taken on a gastronomic journey throughout the South Pacific, with the majority of foods grown on the island of Tavenui itself. Enjoy a wide variety of fresh vegetables, exotic fruit and of course a diverse range of freshly caught seafood. 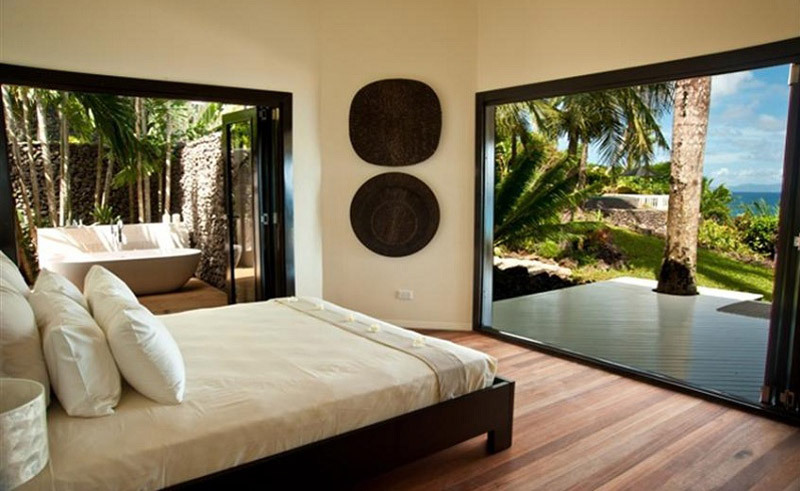 Taveuni Palms Resort is one of those special places you just won’t want to leave. Whether you visit for a celebration, honeymoon or simply go to enjoy the very best of Fijian hospitality, your stay will be one you remember and an experience never forgotten.